The Intranet is generally used as a productivity tool within companies. While a simple Intranet may only include a message board service and an internal email system, more complex Intranets may include databases and websites with company information, forms, and news, as well as personnel information. Intranet often incorporates databases, documents, and internal websites as well. 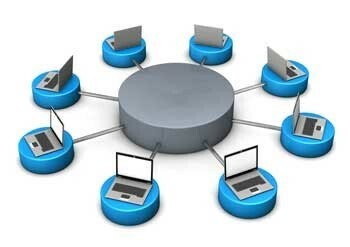 Using the internet offers many excellent benefits when used in business environments. The following are just a few of the benefits that businesses can enjoy by implementing Intranet solutions. – One of the main benefits of using an Intranet is easy communication. Many Intranet portals make it possible to customise data that each employee can view based upon that individual’s department. – Intranets improve collaboration, making it easier for employees to interact, even across departmental borders. Document management features make it easy for multiple individuals to work on a single document. 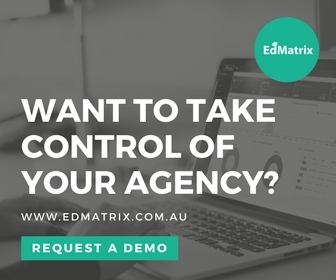 – It’s easier to find things with Intranets, since they generally offer a centralised search function to make it easy to find things. 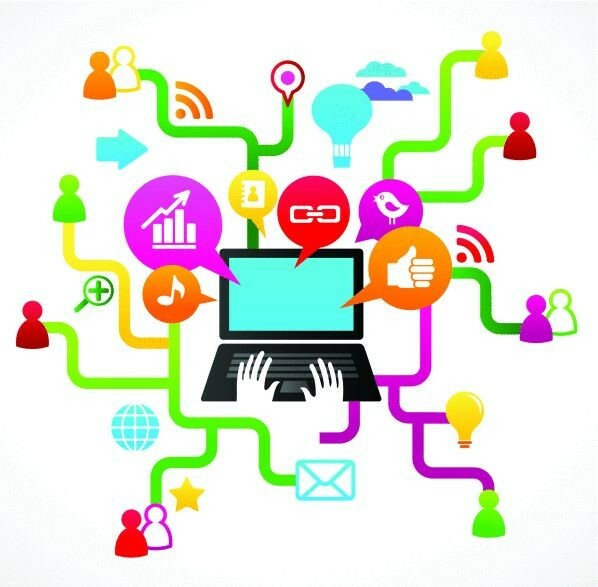 – Businesses enjoy flexibility when they use Intranets, since it’s possible to decide what information is essential for your business, as well as how you want to display that information. You can design your Intranet layout specifically for the needs of your business. – Intranets also offer a low cost solution, since many affordable software packages and online solutions are available today. – Using Intranets allow companies to go paperless, which saves a significant amount of money. All of the company’s important documents can be published via the Intranet, and that data is easy to access as well. – Since all employees are able to access information, emails, and other essential data, the Intranet also provides enhanced productivity. Employees can get more work down and response times are much shorter. It’s essential to have a plan before you jump into Intranet implementation. An Intranet isn’t a short term system – it’s an investment that your organisation will investment a significant amount of time into, so you need to do some planning in the beginning. Choosing the wrong product or approach could prove very costly, so make sure you follow these helpful tips and ideas for planning your Intranet implementation. – It’s important to identify the needs of your business and staff members to make sure you choose the Intranet solution that fulfil those needs. 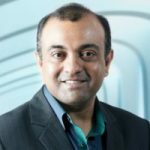 You can use workplace observation, focus groups, surveys, usability testing, and other techniques to identify the needs of your staff. – Once you’re aware of your needs, now you need to come up with some Intranet project goals. The best goals will focus on important business outcomes, ensuring that your Intranet will provide you with a valuable resource. Some goals may include improving decision making, increasing productivity, improved staff engagement, and improving customer service. – You have two options. You can build your own Intranet or buy one. Many companies believe that it’s easier and cheaper to build an Intranet, but only companies with experienced IT and development management teams will benefit from building an Intranet system. Most companies find that an out-of-the-box solution offers the best results if you choose a provider that offers specialist Intranet solutions or Online collaboration solutions. – It’s important to have an Intranet project team that will manage the implementation of the Intranet, as well as the future success of it. A good team should include sponsors, a steering committee, a project manager, and an Intranet management and governance committee. Adopting an Intranet can come with some challenges and hurdles, which generally result due to issues that come with employee adoption. In the beginning, it’s often difficult to get employees to use the Intranet. However, there are things that companies can do to ensure that employees begin using the Intranet fully. 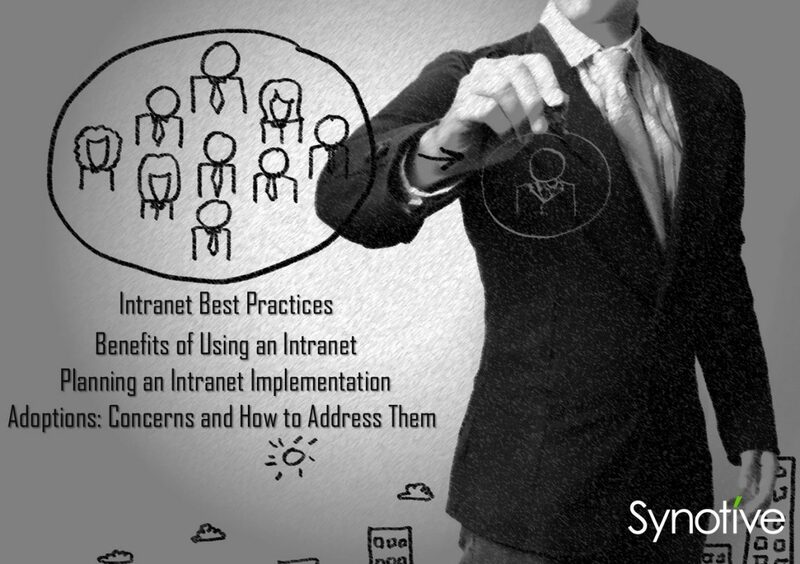 The following tips can help you address many of the concerns that come with Intranet adoption. – Most employees are very familiar with popular social networks. While Intranets operate differently, comparing your Intranet to a social network can give your employees the confidence needed to jump into using the Intranet. – You need to let employees know how important your Intranet is to the daily operation of your company. A sense of urgency without pressure can help employees start using the Intranet to improve job performance. – Sometimes it’s difficult to use an Intranet if there’s a lack of organisation, especially if you only have poor search options. A quality search engine and proper tagging can make it easier for employees to begin using the Intranet. – Ease of use is essential if you want employees to adopt your new Intranet. You don’t want employees to waste time learning how to use the Intranet, so ensure your Intranet has a user-friendly interface. – A bit of training can go a long way if you want to improve employee adoption of the new Intranet. Just make sure you break up training sessions so you don’t overwhelm your employees. It is essential to make sure that you choose a mobile Intranet. More and more employees are working at home than ever before, and many companies have employees that work from alternate offices or work sites. It’s essential to make sure that employees can access your Intranet, no matter where they may be. When you decide to build a mobile Intranet, you have a couple of options: a mobile app and responsive design. Both options come with pros and cons, so you’ll need to choose the option that will work best for the needs of your company. – Survey management and employees to find out what workers consider to be top priorities. – Based upon the information from the survey, come up with a project plan that will include the object of the Intranet, as well as its potential usage for the business. – To learn more, start evaluating some of the available software vendors. Address the critical issues and contact the vendor’s help desk to find out who can offer the best solution for your company’s most demanding needs. – To find ideas on the best Intranet design aspects, take time to review other websites and Intranets. You may also want to talk to the Intranet administrators that work for other companies. – Your IT department will be the backbone of the Intranet, so talk to the technicians in your company’s IT department to get feedback from your IT team. – It’s also important to designate content ownership. Designers need to know the roles of users, as well as their authorities, which makes it possible to provide essential access to multiple individuals within the hierarchy of the company. – Start creating your layout of the Intranet’s basic architecture. You should use a design that is flexible, while leaving the ability to add changes in the future. – Once you’ve completed the project, conduct an evaluation to get important feedback. Use this feedback to make changes and updates to your Intranet if needed. With the many benefits an Intranet has to offer, adding an Intranet to your company is a wise decision. However, it’s important to handle the implementation and adoption of the Intranet carefully, ensuring that you enjoy the best results now and in the future.